The Lymphoma Research Foundation (LRF) – the nation’s largest non-profit organization devoted exclusively to funding innovative lymphoma research and serving the lymphoma community through a comprehensive series of education programs, outreach initiatives and patient services – today announced a joint partnership between Hy-Vee, one of the nation’s largest retail grocers, and Train Wreck Winery, during a special fundraiser in Spirit Lake, Iowa on July 22, 2016. 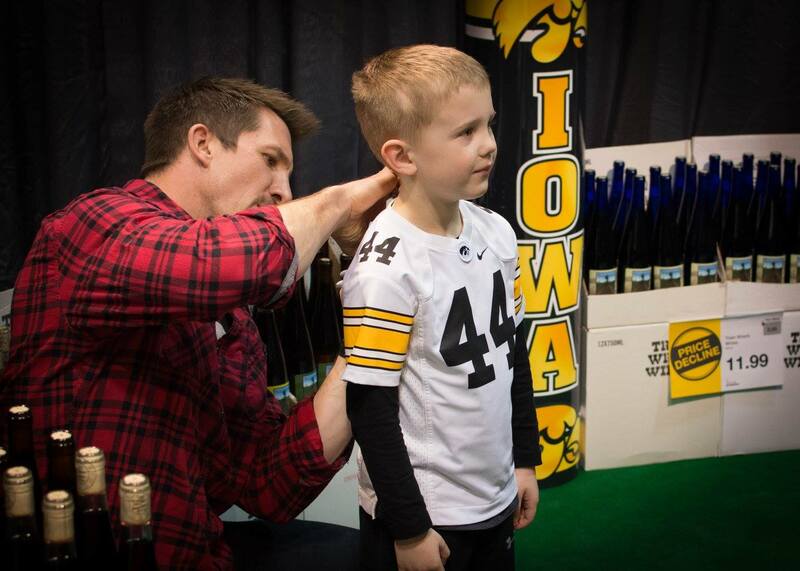 Super Bowl Champion and Iowa-native Dallas Clark, will present a selection of wines from his Train Wreck Winery at the Hy-Vee in Spirit Lake, Iowa from 5:00 – 7:00 pm. A portion of the proceeds will be donated to the Lymphoma Research Foundation through a generous contribution made possible by Hy-Vee and Train Wreck. Nearly 7,000 Iowans are currently living with, or are in remission from, some form of lymphoma, including Smook’s daughter, Andrea. With over 80,000 Americans newly diagnosed each year, lymphoma represents the most common form of blood cancer.